What do golfers, trick-or-treaters and BBQers have in common? They all support daylight saving time (DST, not savingS) or at least the industries that represent their interests do. Back in 1986, the golfing industry reported that extending DST an extra month would result in $200 million in additional golf club sales and greens fees, doubled to $400 million in 2014. Going from six to seven months, late to early April, would bring in $100 million in grills and charcoal sales, according to the barbecue industry. Farmers generally did not support DST, because they favor the morning light to milk cows and neither do TV executives since viewership drops during the time changes. Candy manufacturers hoped to push DST into November to include Halloween in order to sell more candy— an extra hour of daylight means more candy sold. Two decades later, candy (and dentists?) triumphed when DST was extended to eight months, from March to November. They had a little help from the convenience store association, which also supported the change. It was partly due to candy sales but mostly because of gasoline sales. The National Association of Convenience Stores says the extra month of DST is worth $1 billion in annual sales. But wasn’t DST supposed to conserve energy? That is what conventional wisdom tells us. DST began during WWI and was extended during WWII to conserve fuel. The 1960s and 70s brought fluctuations and flexibility to states in choosing whether to participate in DST. In the 1970s, the U.S. government studied DST energy savings and found modest results, 1 percent. Since then, far more studies were done to determine whether DST actually conserves energy. The results are conflicting. For every state, think tank or industry study that finds some degree of energy savings (typically under 1 percent), another reports the contrary on consumption. It is the same story when injuries, health, productivity or traffic accidents involving schoolchildren (more in the morning, fewer in the afternoon and evening) are studied. In 2016, we will spend 238 days, or 65 percent of the year in DST according to the U.S. National Institute of Standards and Technology (NIST). NIST is an agency of the U.S. Department of Commerce. It is the official timekeeper of the United States and shows where the sun is shining at any given moment. Whether DST actually makes peoples’ lives better is a different question for the government to try to answer and it is quite polarizing online and on social media. Here is a series of maps showing different scenarios: DST currently observed, if DST were abolished and if DST were always in effect. This is where it gets complicated because it depends on whether you are an early-bird or a night-owl, whether you live on the east or west coast and whether you live on the eastern or western portion of your time zone. 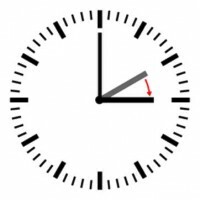 Because of 2005’s Energy Policy Act that was implemented in 2007, we all just changed our clocks to “spring forward” (unless you are reading this in Hawaii or Arizona, states without DST). This sweeping change to DST is mentioned only briefly (a third of a page, out of 551 pages). The act required the U.S. Department of Energy to report to Congress on “the impact of this section on energy consumption in the United States,” 0.5 percent energy conserved or enough to power 100k households for a year. Is that a lot? Enough? The U.S. population at this exact moment is 323,089,535. According to a 2013 Rasmussen Report, 37 percent of Americans “see the purpose of DST,” down from 45 percent in 2012 (aside from changing the batteries on our smoke detectors when we change our clocks, of course). From an administrative communication perspective, the message is clear as dairy milk. Author: Amanda M. Olejarski is an associate professor in West Chester University’s Department of Public Policy and Administration, and she serves as president-elect of the Central Pennsylvania Chapter of ASPA. She can be contacted at [email protected] or on LinkedIn.